Having completed your written document, prior to its publication, whether in printed form, for publication online, or internally for distribution to the workforce, it is critical to ensure that is has been rigorously proofread and edited to eliminate any errors in relation to tense, spelling, grammar and sentence structure. Published work that contains such errors not only adversely affects the presentation of your work but it can also impact on its readability and the audience perception of the quality of the message it contains. Re&d editors have over three decades of experience in business and the writing industry. We are a professional organisation that provides a top quality, which is confirmed by many of our clients who have rated our service as 5*. At Re&d we offer a service that fits with your time requirements, with a minimum of 24 hours per 10,000 words. We also provide you with a tracked and clean copy of the document we proofread and edit, together with a summary of the changes made and recommendations for areas of the work requiring improvement. Our fees are £1.4 ($1.8) per hundred words. All you need to do is contact us on info@readessays.com to let us know your requirements, make the payment and upload the document following our acknowledgement of your order. According to a recent media report, the UK government has just announced plans to introduce measures to address what it considers to be ‘so-called grade inflation’. This move has been precipitated by what the government, and many education observers have considered to be the questionable surge in the number first-class degrees awarded to university graduates, the numbers of which has risen from 18% of graduates in 2012/13 to 26% of graduates in 2017/18. Based on student statistics, of the 2.32 million students attending higher education in 2016/17 (of which 442,346 were foreign students), around 603,000 graduated with first-class degrees. In comparison, of the 2.49 million students enrolled in higher education in 2012/13 (of which 435,230 were foreign students), around 532,000 achieved first-class degrees. The question that needs to be answered in relation to this issue is has this surge in graduation numbers been caused by improvements in the higher educational standards or, as was recently reported, an increased prevalence for universities to ‘mark-up’ student grades. Or indeed, are there other factors that have contributed to the surge? Superficially, based on the statistics presented above, it could be argued that surge has been precipitated by improved educational standards as the student numbers appear to have reduced by around 10% during the period. 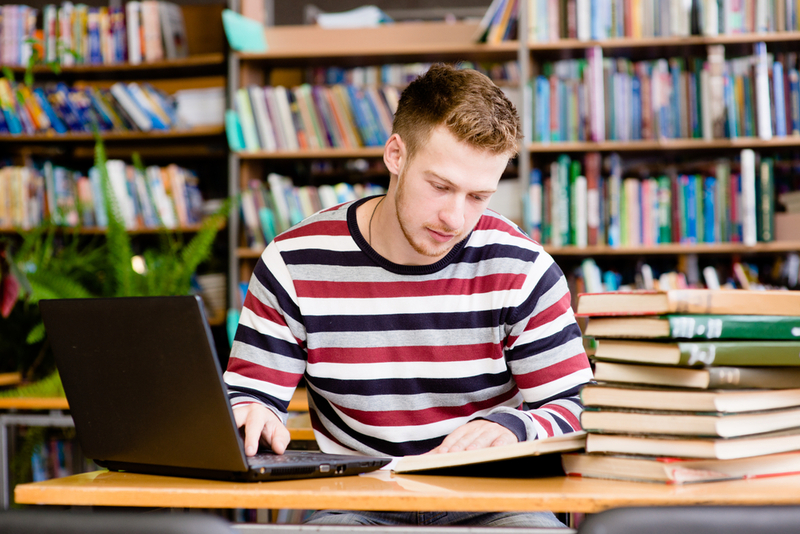 Equally, the increased access to technology and online resources could mean that students are able to access more research sources within the limited timescales that students have to complete the assignments within their course work. Additionally, it could also be argued that improvements in the teaching standards and quality. Of course, another potential reason could have resulted from the fact that the students are applying themselves better to their studies, and it is of course unreasonable not to suggest that many students work incredibly hard to gain a first-class degree. However, notwithstanding these factors, previous concerns over graduation numbers have also been raised. Of these, the two most important that need consideration are the ‘marking-up’ of grades by universities, and the increase in the prevalence of ‘essay cheating’. In terms of the ‘marking-up’, the results into the university marking system published in 2013 found that there was evidence which found “the rules were often bent to boost numbers“. The prevalence of students ‘cheating’ has also been noted in the literature. This is confirmed in an article in The Guardian, which confirmed the increase in the number of reported cases of plagiarism. However, these numbers represent just the tip of a dangerous educational iceberg that threatens the very structure of higher education. Evidence confirms that increasingly a segment of the university student population are resorting to having their essays, dissertations and thesis written by other external academic writers and experts. Moreover, it is also known that some students, upon receiving feedback from their tutors, return the essay, together with the feedback, to the same writers for amendment. Why is this surge happening? In addressing this question, it is firstly important to state that this problem is not caused by the thousands of students who are working harder to achieve first-degrees. Indeed, the problem identified only serves to diminish the value of their degrees, which is totally unfair. In terms of the ‘marking-up’ of grades, it is considered that this is occurring because the university managers are becoming more focused on a) improving the university rating in the national and international best university tables, b) a move to attract increased investment by business organisations, which can then be used to improve and expand the infrastructure and resources available in the university. In this respect, it can be argued that the ‘marking-up’ problem is being driven by financial rather than pure educational objectives. Concerning the ‘cheating’ problem, this problem is increasing because of two main factors. The first is that with the increased numbers of students for whom individual tutors are responsible. This means that they have less time to devote to reviewing student submissions. Secondly, it could be equally argued that due to pressure from university managers, this encourages the tutors to mark the essay on the basis of its content, without taking into account whether, based on their knowledge of the individual student, whether this is the type of work that would have been expected from that student. For example, with foreign students, does the structure and content of an essay concur with the tutor’s knowledge of that students grasp of the English language and, if not, why not. Similarly, with the tutors knowledge of the level of progression of an English student’s educational competence, surely it is not that difficult to identify whether the student has completed the project without external assistance. How should the problem be addressed? In our view, simply introducing the Teaching Excellence and Student Outcomes Framework (TEF), to discourage lower standards, does not address the issue. In our opinion, there is a need to address the core factors to ensure the university grading system in relation to first-class standards, and any other grade for that matter, can be relied upon. Firstly, there is a need to change the culture of university management, and encourage them to focus on improving educational standards in preference to their financial objectives. Secondly, tutors should be encouraged to conduct a more stringent examination of the work that is submitted by student and allocated sufficient time to be able to do this, which should be based on the number of student they are required to tutor during the academic year. 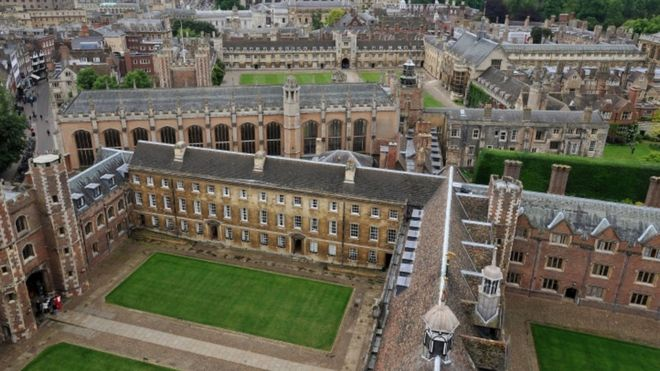 A recent media report has indicated that Cambridge University is developing a programme to provide the opportunity for students from disadvantaged communities in the UK. The plan is to put such students, many of whom have not achieved the required A levels and passed the interview process, through a transitional programme, which will effectively provide them with a second opportunity to gain access to a university place. Superficially, one could argue that this does mean that universities are waking up to full social inclusion and equality within the student selection process. However, along with others I would argue that such applause should be put on hold because the situation should not have arisen in the first place. Why you may ask. The reason for this is twofold. Firstly, let us look the role of universities leading up to their current stance. Certainly in the past two to three decades, in my view the mission of the University sector has changed from providing the highest quality of higher education to becoming more focused on the capitalist dragon – economics. As a result of the increase in the globalisation of UK higher education in terms of a) attracting foreign students, b) the desire of University management to attract more corporate sponsorship and c) a focus solely on improving the university ranking nationally and internationally. In other words, I would argue that the search for capital and increased revenues rather than focusing solely on their main role, which is to provide education that will help the younger generation to develop their life, work and social skills. Therefore, it can be stated that this change of the university culture has diverted their focus well away from its original objectives, namely education. The second problem is related to the development of the UK government’s education policies over recent years. In this respect, despite the introduction of equality and anti-discrimination legislations, it appears the spirit of these regulations have not been transformed into appropriate financial and other resources, as well as social support for schools in poorer areas. It is this Monster of educational policy in the UK that is causing such a level of disparity between schools. Therefore, it is perhaps not surprising to find that it is more difficult for children from these environments to reach the qualifying levels of university entrance standards. Given the correct level of resources and quality of teaching support, children and students from these areas can achieve the same level educational achievement as any of their peers from more prosperous locations. Will the new policy work? Since 2016, it is disappointing to note that there has been increasing media attention being focused on the prevalence of “student cheating” during the development of their studies and exams. In a review published in The Times (2 January 2016), for example, it was indicated that during the previous three years “Almost 50,000 students at British universities have been caught cheating”, and in our opinion this is just the tip of the iceberg. In another article published on the same date, it is argued by the reporters that “For a desperate or lazy student, the opportunity to cheat – and get away with it – has never been greater”, due partially to the ghosting services being offered by essay mills. There is irrefutable evidence that essay mills are contributing to the rise in ‘cheating’ by students, not least because of their failure to reinforce their own terms and conditions related to the usage of the work that students purchase. Indeed, in our view, the post-purchase services they offer to students in some cases actively encourages ‘cheating’. Evidence confirms that many students are submitting the essays as their own work, which is not only against the terms and conditions of the essay mills, but also against university rules, yet neither party appear prepared to enforce these regulations. Indeed, it is common practice for many essay mills to allow students to request amendments following tutor feedback. However, essay mills are not the only causal factor. One could also argue that the current attitude of some students to university life, the recruitment and employment culture, higher education system, government policy, and parental influence have equally contributed to the problem. In various media, student life is presented as representing a time of freedom and partying. This encourages some students, although by no means the majority, to seek ways to limit the amount of effort they need to apply to actual research and learning. If they have the finances, this can be achieved by cheating, perhaps purchasing the coursework they need to submit from external sources. Recent changes in the recruitment and employment culture can also be argued to have contributed to student ‘cheating’, albeit by default rather than design. For example, employers are increasing requiring applicants to have achieved a high level of graduation, with many requesting candidates who have achieved a minimum of 2.1. Thus, this approach disadvantages those who have not secured the required grade, despite the fact that they might be equally qualified for the role being offered, if not more so. 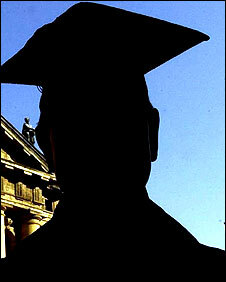 The changes to the higher education system and government policies have also contributed to this problem. In this context, it is argued that the development of ranking systems aimed at identifying the ‘best’ university has encouraged universities to turn a blind eye to ‘cheating’ as the numbers of higher grades reported would help to improve their ratings. Finally, there is the problem associated with parental influence. Parents naturally want their child to succeed. However, this desire for future generational success can go beyond psychological support, encouragement and motivation. In some cases, parents will be willing to provide the additional funding their child requires to succeed in his/her graduation objectives, even if this means paying for their child to get others to complete their work. In addition to the fact that this situation places those students who commit to working hard at a disadvantage in terms of the effort and time they spend studying, there are a number of other adverse consequences related to the use of ‘cheat’ essays. Among the most critical of these outcomes is that such students are unlikely to comprehensive skills and competences that they will require to engage effectively in their chosen field of work. Additionally, it is also unlikely that they will have learned the ethics of working hard to achieve career advancement. Furthermore, when presented with problems that require knowledge, which they should have learnt while studying at university. It is at times like these that the student’s lack of effort will be noticed by employers, which at worse could lead to the loss of his/her position in the organisation. There are also potential consequences for the universities. In this respect, if increasing numbers of students who ‘cheat’ are found to graduate from particular universities, there is the potential that employers will question the quality and ability of graduates from these institutions, which additionally could adversely affect their future ranking. In conclusion, we argue that it is time for the government and the university management to take action to stop this practice. In many cases, it is not difficult to identify which students are submitting work that is not their own. All it will take is a change of emphasis on the part of both of these organisations, and the will to stamp out this practice. However, one wonders whether either are prepared to really commit to such an important learning objective. According to the BBC (26 July 2018), a recent report by UCAS, has confirmed that the awarding of unconditional university places to students has increased by a factor of nearly 23 from 2013 to 2018 (2,985 to 67,915) (see graph). While this increase might suggest that there has been an improvement in the educational opportunities for high school leavers, the UK government has suggested it simply represents a university policy aimed at increasing student numbers, thus being financially driven, and the TUC has argued that it encourages students not to bother studying to achieve the standards normally required for university admission. What does this really mean for universities? What does it mean for university students? As noted, the TUC suggests that this change is leading to lower skills and knowledge among the intake of new students. We argue that this raises three important issues. The first is that tutors therefore need to extend their lesson plan and content to take account that the university learning process has to start from an earlier/lower level of learning. This means that those who have studied hard to meet university entry criteria are disadvantaged in that, effectively, they may have to ‘tread water’ while those without catch up. The second problem is that, as a result of the potential increased tutor workload, students may not be given sufficient time to be able to discuss any issues or concerns they may about their work, which may adversely affect their individual education progression. Finally, one could also argue that this approach may also limit limiting the opportunities for students from disadvantaged backgrounds to secure a university place, as the availability of such places is being limited by the current approach, even if they have worked hard. In our view, educational standards need to be maintained if our universities are to improve the quality of the students they prepare for their future careers. In this respect, therefore, it is important to achieve an appropriate balance between the financial objectives of the university and their achievement of the institutions main aim, which is to improve higher learning outcomes. It has recently been noticed by the author that even in some of the UK’s highest quality media and new organisations there has appeared errors in terms of grammar, tense, sentence structure and the structure of the content, which is a shame as this spoils the presentation and value of the information being provided for their target audience. Missing (linking) word – A linking word is one that is used to connect two phrases or sequences and contrasts within a sentence, for example words such as ‘and’, ‘so’, and ‘but’, yet often we have found these words to be missing in a sentence. Past and present tense – Mixing the past and present tense can alter the meaning of the text and sentence. For example, if one says “the current guideline was“, this is different to saying “the current guideline is“, as the former relates to the past and suggests the condition has changed, whereas the latter is a statement of current fact. Plural and singular – We have found that often our clients have confused the tense in their work. A rule of thumb in recognising the difference between the two formats is to identify whether the object(s), event(s) or person(s) referred to previously in the sentence itself reflects a plural or singular approach. For example, if one uses the word object (without an ‘s’), the appropriate singular word ‘is‘ would apply, whereas if the word is objects (with an ‘s’), the plural ‘are‘ should be used. Use of ‘who’ or ‘that’ when referring to people. In this case, while both words are reflective pronouns, the word ‘that‘ should not be applied when referring to a person or group of persons. Similarly, when referring to objects, the word ‘who‘ would not be generally acceptable. In our view a second, and equally important aspect of any content, irrespective of its intent and usage, is the presentation. One has to remember that on viewing your content or text, the first impression visual impression given to the reader will be the way it is presented. For example, text that is not broken down into appropriate paragraphs, of that does not have subtitles to act as a signpost for the reader, is likely to result in the reader(s) leaving your work/site within seconds. Similarly, images that are randomly placed within your content, and without any connection to the text adjacent to where they are placed, can be disconcerting and confusing for the reader. If you are going to add images, you need to make sure they are relevant to the content to achieve the most positive response. We recognise that it is often difficult to effectively proofread and edit your own work, not least because we all have a tendency to miss the mistakes we may have made, simply because we have constructed and written the words. Therefore, a fresh pair of eyes can help to improve the quality of the final product, whether this is related to research studies, website content or other formal and professional documents. Our services provides you with this important second set of eyes. We approach the proofreading and editing from the viewpoint of improving the flow, clarity and quality of your work. It is an area of our work that our experts have been involved in for well over a decade. During that time, we have provided these services for a range of consumer groups, which includes major corporations, government and NGO organisations, website and blog owners, students and other individuals. Our work in this area has been consistently rated as five-star in terms of quality by our customers. 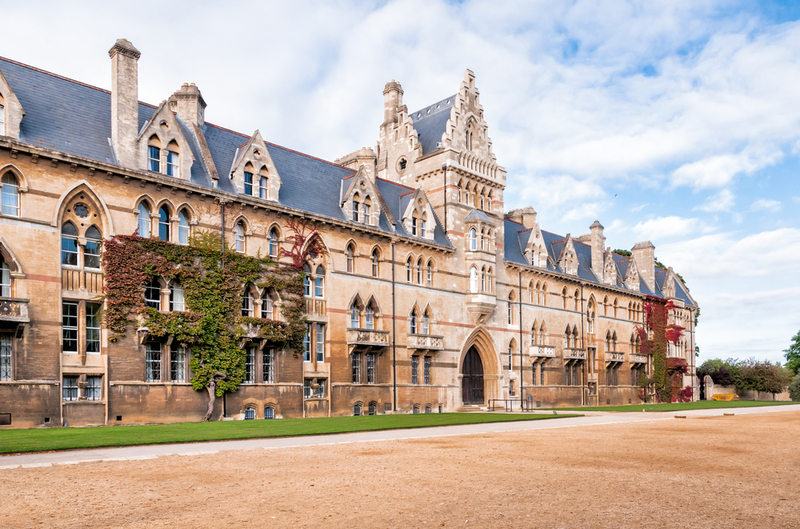 Recently media reports have indicated that the UK government is taking steps to ban what they describe as ‘Essay Cheat Companies’ from promoting their services within university environments. In our view this move is long overdue as these organisations have been engaged in promoting what can only be described as ‘blatant’ support of student plagiarism for a number of years, which is damaging the quality of higher education and student learning. 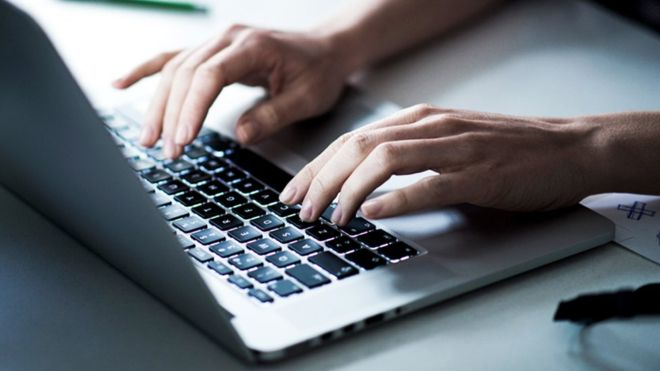 It is therefore important to understand where the responsibility for this increased prevalence for cheating (plagiarism) rests, which is the central aim of this first of two posts. When essay mills engage a writer he/she has to agree to a contract prior to being accepted to write for the organisation. An integral part of this contract requires the writer to transfer the copyright of the work to the organisation (essay mill) they will be employed by. One could suggest that this is a reasonable request as the contracts of many organisations outside of the education industry include this provision. However, as with any contract, both parties are required to identify the conditions they will comply with. 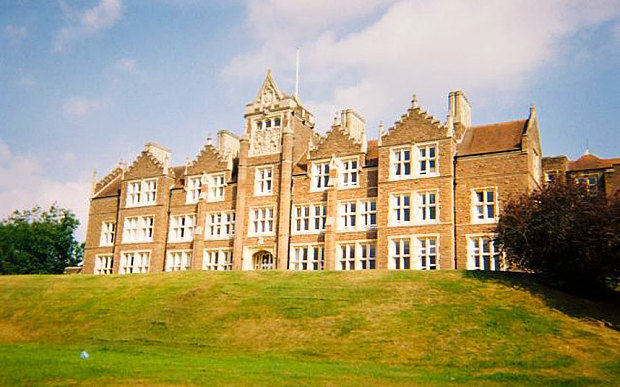 Evidence shows that one of the critical conditions agreed to by essay mills is that the student will not be allowed to submit the writers work as part of their studies. Nonetheless, evidence exists, which confirms that essay mills are consistently breaching this condition that they have agreed to in the writer agreement. This can be evidenced from the fact that on occasions the client (student) will provide the essay mill with files containing direct feedback they acknowledge are from his/her university tutor, and offer more money for the amendments to be made. Of course, one could argue that the writer, based on the contract they have agreed to, could simply reject completing the required amendment. Nonetheless, despite assurances from the firm that the student client may have been warned about plagiarism, if he/she refuses to complete the required amendment too often, their continued income from the essay mill may be reduced, if not cease completely. Thus, as many writers depend on the income derived from these organisations, reluctantly most will simply comply with the organisation’s amendment request, which simply increases the level of cheating by the offending student. From a student viewpoint, apart from the obvious issue of cheating, other factors also need to be considered. Firstly, there is the issue of cost. A recent BBC report suggested the average cost was around £7,000. However, this cost can escalate considerably when students are studying for a doctorate or PhD. Naturally, this situation increases the level of student loan that will eventually need to be repaid, although one could say that this is solely the fault and responsibility of the student. Of much more concern is the impact the use of essay mill products has on student learning. Where students are submitting work completed by essay mill writers, including any amendments required, we suggest that the student gains little, if any, knowledge, skills and competences, which damages his/her ability to effectively and efficiently perform their job roles. For example, if a health student relies solely essay mill writers to achieve his/her qualification and acceptance as a professional nurse/social worker, one could argue that their lack of knowledge, skills and competences may adversely affect the quality and standard of their practical skills, thus potentially putting service user outcomes at risk. Similar, although different risks can occur in other sectors of educational learning, including students who are pursuing careers in finance, business and service industries. Finally, perhaps the most important concern related to students is discrimination. In this respect, while some students simply find a way to add the cost to their student loan (to be repaid later? ), it is apparent that student from the higher echelons of society have a better opportunity to avail him or herself of the services offered by essay mills. Thus, in addition to discriminating against those students who work hard and commit themselves to learning and gaining knowledge, it also discriminates against those students who come from less wealthy environments. 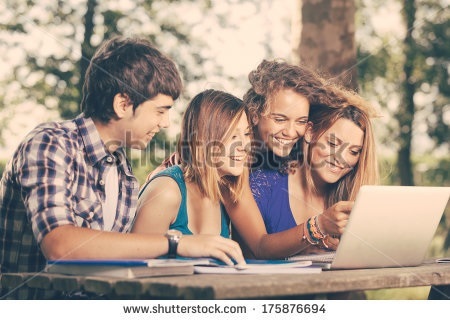 Furthermore, it is also apparent that a reasonable percentage of the students using the essay mill services are either foreign students who are studying in UK/USA universities, or those students who do not have English as their first language, and who also often come from wealthier families. University students and tutors should also share responsibility for the increased prevalence of essay mills. Universities are becoming increasingly focused on the need to increase their rankings within the global higher educational environment. Therefore, they all; including the ‘premier’ UK universities of Cambridge and Oxford, have become more focused on maximising their student graduation achievements rather than focusing on the achievement of the individual student. In my experience, it would be immediately apparent to the university, and its tutors, if the work presented was not penned or researched by the student in question. Knowledge of individual students, which should be one of the core factors that enable tutors to engage with learners, is seriously lacking. For example, if the tutor has developed a positive relationship with their students, it should be immediately apparent to the tutor whether work presented was the student’s original work. This can be detected simply from identifying how the style of the work presented compares to previously information known about the student, such as notes, works and conversations. With respect, this is a relatively easy process, particularly in the case of students who have English as a second language. More importantly, evidence suggests that some tutors, in an effort to supplement their income, are also acting as writers for essay mills, which in our view suggest there is a conflict of interest that needs to be addressed. We would also argue that the UK government needs to share its responsibility for this move towards the increase in essay mills. The government has been instrumental in introducing league tables for universities. Economically, the level of representation on these tables can have a significant impact on the way university manager’s direct tutor marking, as their main aim is to . The ultimate instruction appears to be for tutors to ensure maximum levels of high grades are awarded to their students. Therefore, one could argue that an increasing number of tutors pay little, if any, attention to what are obvious differentials between the project work presented by students and their knowledge of the student’s language, previous learning capabilities and acquired knowledge. In the next post related to this issue of we shall consider the ways in which this situation can be resolved.